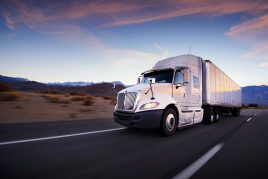 NEED IT NOW provides local and long-distance trucking to and from any location in the United States and Canada. Jobs are priced based upon weight and distance. 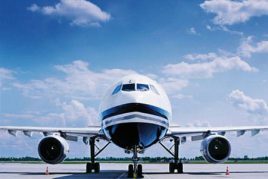 NEED IT NOW’s Air Freight services have been in operation since 1987. As a large shipper of freight, NEED IT NOW specializes in the time-definite, door-to-door delivery of freight of all sizes. This includes same-day air transportation in the United States, Canada and to most international cities. Same-day delivery anywhere in the United States. We pick up your package immediately and put it on the next flight out. All air freight deliveries are time specific. You tell us when you want us to pick up and when you would like us to deliver. 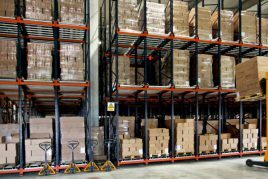 STORAGE & LOGISTICS Our storage facility may prove to be one of the most valuable extensions of your firm’s fulfillment operations. With a secure warehouse conveniently located minutes from Manhattan in West Orange NJ NIN offers one of the most efficient ways to supplement your firm’s fulfillment needs. When you need a product shipped from our warehouse, simply contact us via phone, fax, e-mail and your material is on its way to its destination. When delivery is complete, you will receive proof of delivery. NEED IT NOW provides international time-critical shipping of any size, from documents to skids. 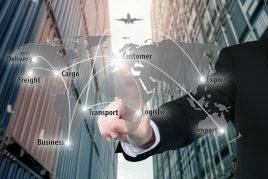 We specialize in affordable overseas shipping with highly personalized service — whether you are relocating a home or business, shipping household goods, equipment or appliances, furniture, or a simple document or envelope.